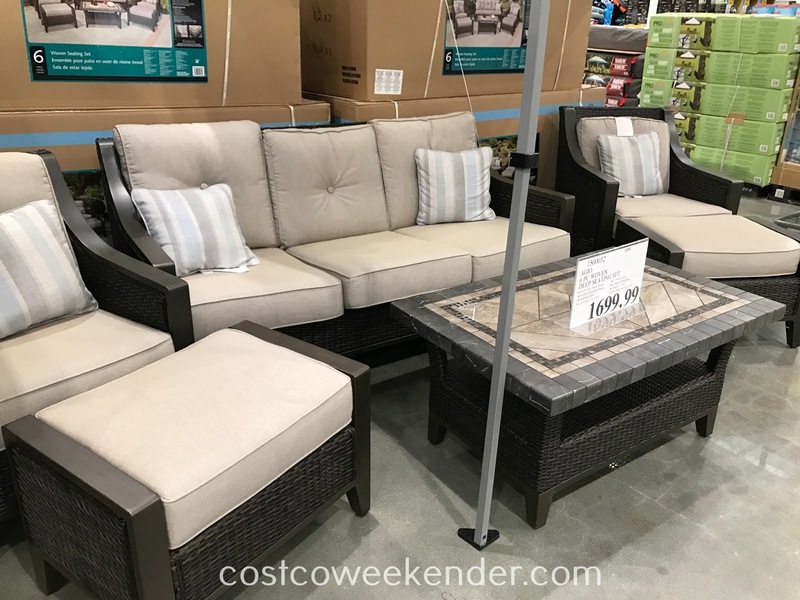 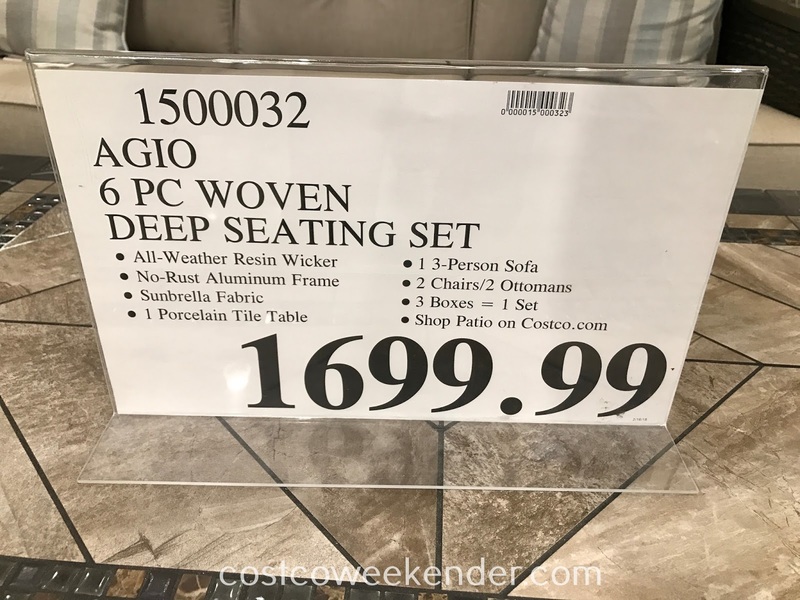 If you like outdoor entertaining the way I do, then you should check out the Agio 6-piece Woven Deep Seating Set at Costco. With a 3-person sofa, 2 chairs and 2 ottomans, you can an intimate gathering in your backyard or patio this summer. 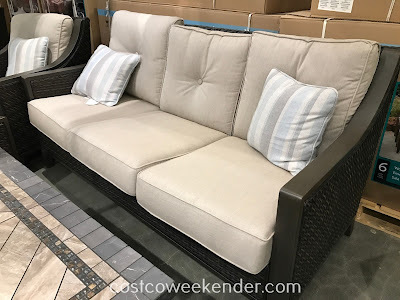 And since the cushions are made with Sunbrella performance fabric, they won't stain and are resistant to mildew and fading. 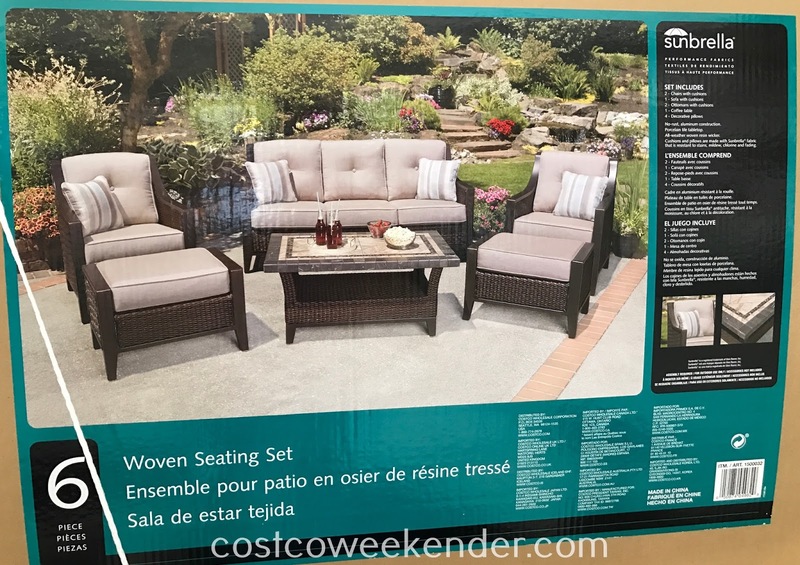 The all-weather resin wicker of the set is easy to clean and can withstand the elements for a long time. We've seen similar 6-piece sets from Agio before. 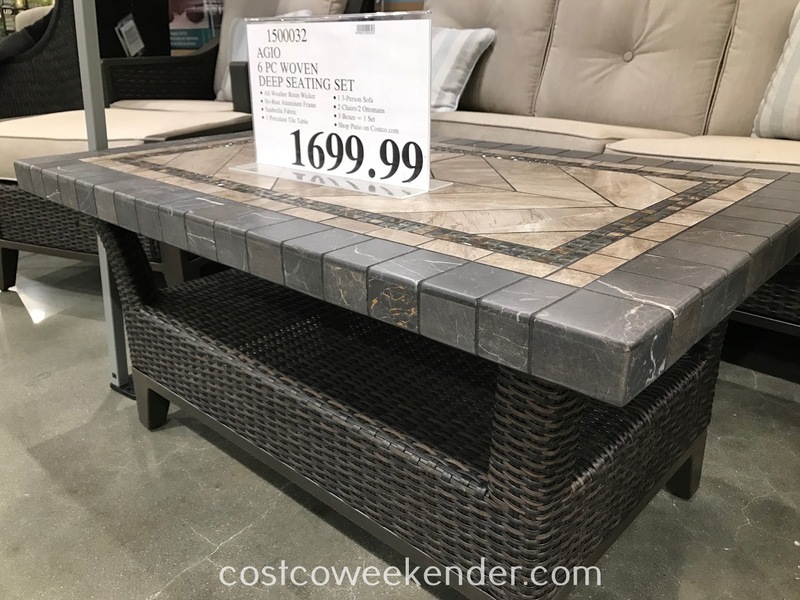 This set just gives you another option when it comes to entertaining your guests this upcoming summer barbecue season. 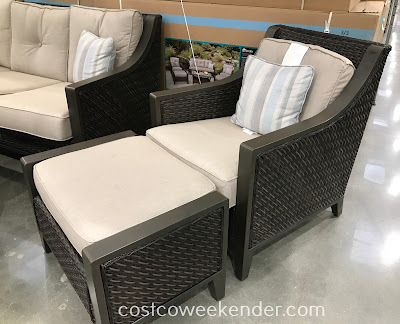 Agio 6-piece Woven Deep Seating Set: just in time for summer outdoor fun!